Pool chlorine can burn your eyes, irritate your skin, and also cause a number of health problems such as asthma and even tooth erosion in extreme cases. And, while pool water must be cleaned to prevent contamination and bacterial growth, manual application of chlorine isn’t the safest option. So if you’ve been considering making the change, take a few minutes to learn more here about how a salt water generator (AquaRite) makes water safe for swimming. When you swim in a mild saline solution, it’s similar to taking a bath in soft water. Your skin feels instantly smoother and refreshed, and you won’t experience any irritating dry patches or the white flakiness that chlorine can cause. An AquaRite salt chlorinator also won’t cause damage to your eyes or skin, which means you get a less intense and more enjoyable swimming experience every time. The Hayward AqauRite Salt Chlorinator is the most convenient alternative to chlorine. You get natural sanitation that is automatically controlled — no need to mix, measure, or store chlorine again. All you need to do is to add the salt, program and adjust the level of chlorine from the control center, and it goes to work keeping your pool clean. 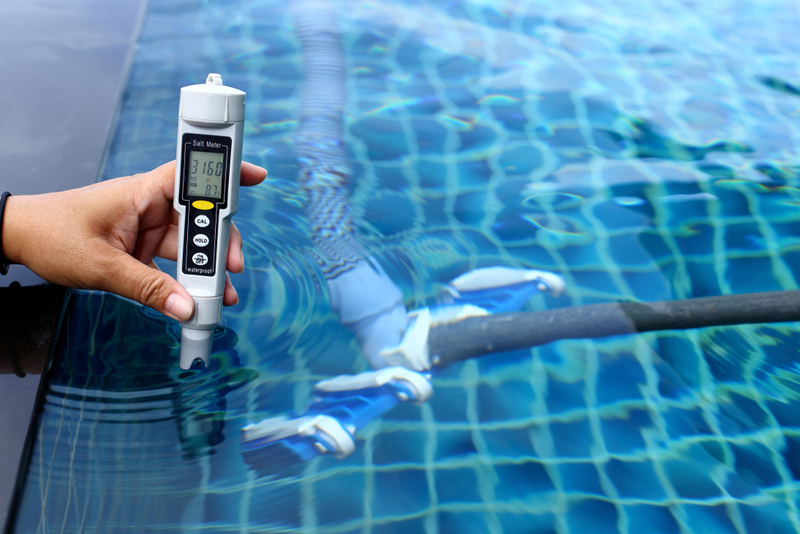 What’s really nifty about the AquaRite is that it can also alert you if there are any issues with the system and will allow you to automatically shock the pool if you have any algae and other problems in the water. Best of all, when you switch to a salt water chlorinator, you’ll never have to worry if your children or pets get into your storage area and come in contact with the chlorine. You also get consistent results day in and day out. A saltwater generator works to convert the dissolved salt into the right amount of chlorine each and every time. This creates a correctly sanitized pool that keeps the water clean and safe to swim in while adding more comfort, convenience, and cost savings over traditional methods. By providing automatic and consistent sanitation, you can avoid the highs and lows of manual chlorination. If you’ve been looking for a way to simplify your pool chlorination process, save more money, and reduce the effects of traditional chlorine, then AquaRite is a great alternative. To find out more or to purchase one for yourself, contact us at Rideau Pools, and one of our expert staff will be more than happy to assist you.